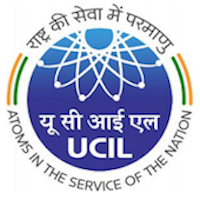 Online Application Details for Uranium Corporation of India Limited UCIL Recruitment of 1 Deputy General Manager and 1 Chief Manager is given below. Application form and duly attested documents are to be sent to General Manager (Pers./IRs. ), Uranium Corporation of India Limited, (A Government of India Enterprise), P.O. Jaduguda Mines, Distt.- Singhbhum East, Jharkhand-832102. In envelope super scribed with 'Application for the Post of Post Name'.